You are looking at your latest smartphone purchase, the Xiaomi Mi4. What exactly are you looking at? The front side, naturally. After all, that's where the screen is located! Yet, equally important, is the back side of the Xiaomi Mi4. It houses important components, namely the battery & SIM cards, not to mention the primary camera. What's more, it is the rear side which you are gripping when holding the smartphone. 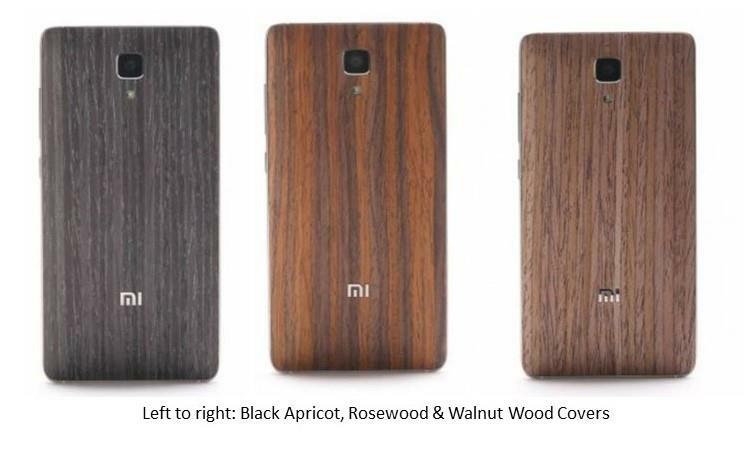 So why not give an elegant cover to what essentially makes up the backbone of your Xiaomi Mi4? Now, when talking about back covers for the Xiaomi Mi4, how about ditching the boring, staid plain cover? Why not put something classy & elegant, perhaps with the Eiffel Tower on it? There's just about everything to suit each one's individual style & statement. What did I just read? Wood? Yes, you read it right. Wood back covers are becoming a popular craze among those who are looking for the unusual. We are not talking about ordinary wood here. Walnut, Rosewood, Black Apricot are just three of the options to choose from. Leather always gives a style statement to any product, whether it is your jacket, your biking gloves or your footwear. So why not for your Xiaomi Mi4? Check out the Baseus brand Eden series flip leather case designed for Xiaomi Mi4. It does not just make a style statement, but will become a talking point for fashion! That's primarily due to its unusual colour combinations, with horizontal strips across. The colour combos are: Blue/pink, grey/black, red/blue. The leather is quality, imported material, soft and delicate to touch. It provides adequate protection too. When talking about a glass cover, we're not talking here about some fragile, delicate piece which will crack or break at the slightest touch. There is the specially designed iPhone-style tempered glass back cover, which costs $13.99. Tempered glass goes through special treatment to increase its strength, so rest assured, your smartphone cover is infinitely stronger than normal glass. Its most inviting feature is not just the low cost (as compared to other back covers) but its superbly stunning colours – gold, blue-gold, pink-gold & lots more bedazzling hues, all combined with a hint of gold borders. Just looking at those pictures (see the one below) had me rooting for this one as the best back cover for your Xiaomi Mi4! Also, currently available is an exclusive edition powerful yet protective case with Gorilla Glass. This is on the higher price side, but is worth opting for if you tend to handle things carelessly or are a constant traveller. Even those into extreme sports would benefit from this type of back cover. You can select your own colour from these options: Black, red, silver, white, yellow. The metal back covers that are available for the Xiaomi Mi4 are made from premium grade metal materials. One option is the Robot Arm metal bumper case with a cord, in colour options of black, white and gold. This does look a bit weird, but may appeal to those heavily into sci-fi stuff. Another option in metal is the one which has a metal bumper-type frame and a golden line border. This piece of metallic material provides an altogether different type of elegance to your Xiaomi Mi4. Contrary to what you may be thinking, it is not something which will create scratches. It does have a soft lining, which protects your phone from unwanted scratches. It is not at all heavy either & is extremely slim. There are properly placed cut-outs that give you access to the requisite functional utilities of the smartphone. It incorporates a snap-on buckle design for easy installing & removing. Colour options: blue, black, gold, grey, silver, pink. When talking about strong back coves for your smartphone, we cannot overlook one material – Silicon. It is silicon which is, literally, at the heart of technology today as it is an essential element that goes into the making of a computer's integrated circuit & we just cannot do without computers today! It forms a base for fibreglass covers too. So check out the 2-in-1 PC frame silicon protective cover for your Xiaomi Mi4 which is available in 7 colours: Blue, black, silver, yellow, green, gold, white. There are plenty more options, of course, to choose from to make an in-your-face statement. For example, maybe you are an avid supporter of protecting the tiger. You could go in for this beautiful back cover with the tiger's royal face on it. This article would be incomplete without a basic tutorial on removing & installing a new back cover for your Xiaomi Mi4 smartphone. If you thought it would be tough to change the existing back cover of your Xiaomi Mi4, you're right! Trying to prise it off with your fingernails isn't easy. Since it is embedded in a metal frame, you can't exactly use such a tactic. What you need is a small suction cup. Simply squeeze the suction cup, attach it to the back cover and gently tug on it. Off comes the back cover. Then align the new cover properly and fix it in with help of the clips fixed to the cover. Xiaomi appears to have turned the accessories world into a dreamland. The kind of accessories it has been coming up with is simply unbelievable. Good information shared by the author.